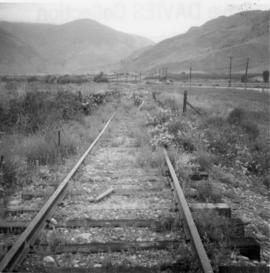 Photograph depicts disused, but perhaps not legally abandoned, track 2 miles south of Keremeos on the old Keremeos branch. 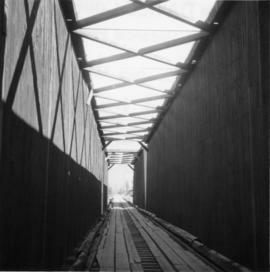 The track was broken in several places and fences were also erected across its length. 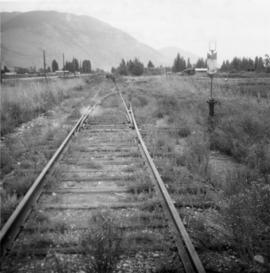 Photograph depicts a disued or abandoned track 2 miles south of Keremeos. Tracks was broken at one bridge and at least one cover was as well. Fences were erected across it. 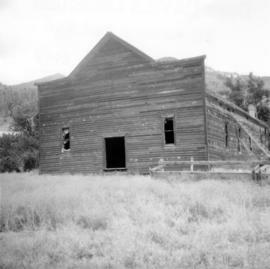 Photograph depicts a former dance hall, now barn in the centre of Keremeos Centre. Only 2 buildings of the original village survived which included the dance hall and a hotel across the street. 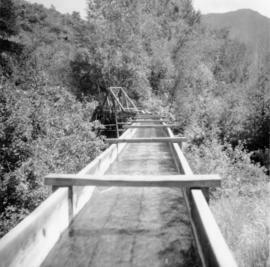 Photograph depicts a bridge over the Similkameen River. The branch was still in use with very little traffic. 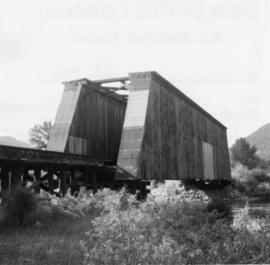 One padlocked door on each side of the bridge allows examination of trusses. 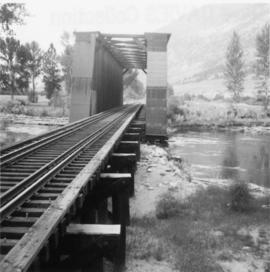 Photograph depicts a rail bridge over the Similkameen River. 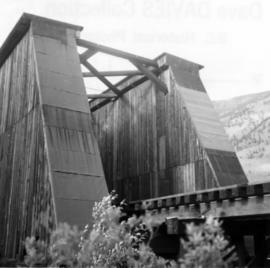 Photograph depicts a bridge over the Similkameen River. 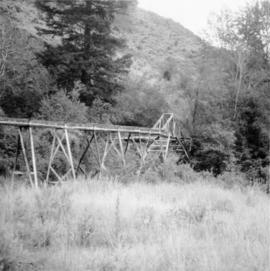 When track ran to Hedley, there were 3 of these bridges. All stood still at the time the photograph was captured. The other were on the lifted Keremeos to Hedley section. 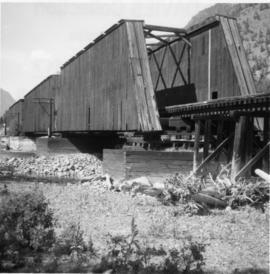 Photograph depicts a covered wooden grider bridge of the former Great Northern Railway spur that ran from north Washington state into B.C. at Keremeos, then west to Princeton. 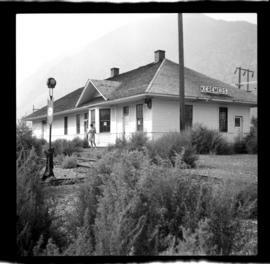 It was now only operating as far north as Keremeos. 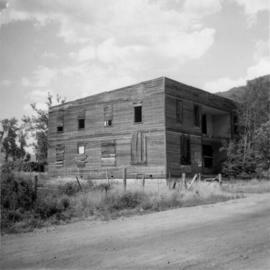 Photograph depicts an old hotel in the center of Keremeos. It once had been a thriving staging post. The village now only contained 2 building which included this hotel and a dance hall that had been converted to a barn.